Palmetto Police said 41-year-old Stephanie McNabb died on Sunday after her ex-boyfriend shot and killed her. Manatee County deputies were actively investigating and looking for her ex-boyfriend since an incident earlier this month involving McNabb. PALMETTO, Fla. — Palmetto Police said 41-year-old Stephanie McNabb died on Sunday after her ex-boyfriend shot and killed her. Manatee County deputies were actively investigating and looking for her ex-boyfriend, Flozell Murrell, before the murder for an incident that happened earlier this month involving McNabb. In a 911 call, McNabb's sister begs for help and said he broke in while they were sleeping. The dispatcher asked, "Are you or anyone else in any danger right now?" McNabb's sister replied, "We don't know. I have no idea." Police found Murrell a couple hours after the murder and was arrested on February 10, 2019. According to records with the Manatee County Sheriff's Office, the two had been together as a couple for about 25 years. She had an injunction against him to stay away from her. He was also just released from jail in November. Deputies were actively searching for him at the time of the murder after an incident on February 2 in Sarasota. He accused her of flirting at a club and grabbed her by the back of the head, punched her and eventually pistol-whipped her in the head, according to sheriff's office records. "Here is a woman who did everything right. She did get away. 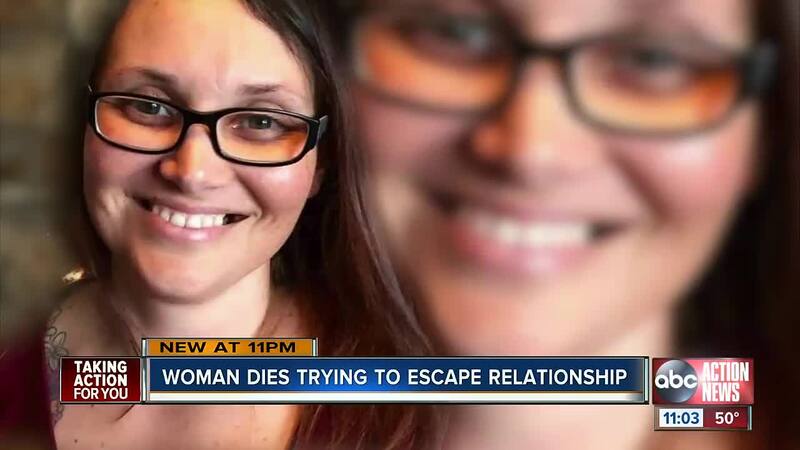 She got a restraining order and injunction for protection and she's still dead," said Laurel Lynch, Chief Executive Officer for Hope Family Services. Hope Family Services in Manatee County serves domestic violence survivors. Lynch said people should come up with a safety plan. "You're the expert on your partner. We're the expert on domestic violence. Lets put our collective wisdom together and come up with a plan that you can leave safely," said Lynch. Lynch said domestic violence is all about power and control. "Domestic violence is all about power and control. The murderer in this case had to have control over his partner and at all cost including killing her because he lost control and she left," said Lynch. According to McNabb's online obituary, she was a lover of all things Disney and went every time she got a chance. She was a loving daughter, sister, mother, aunt and grandmother and put everyone before herself. She loved her grandchildren and would do anything for them and her children. "If there is somebody who is teetering on the fence and thinks this could be them, call and talk to somebody, go online and read about indicators of lethality and make a call, it could save your life," said Lynch. ABC Action News is committed to taking action against domestic violence. Click here for a list of resources .